Freeport, Illinois. $10 1929 Ty. 2. Fr. 1801-2. The First NB. Charter #13695. PMG Choice Extremely Fine 45 EPQ.An attractive number one note that shows with strong well embossed paper and pleasing inks throughout. 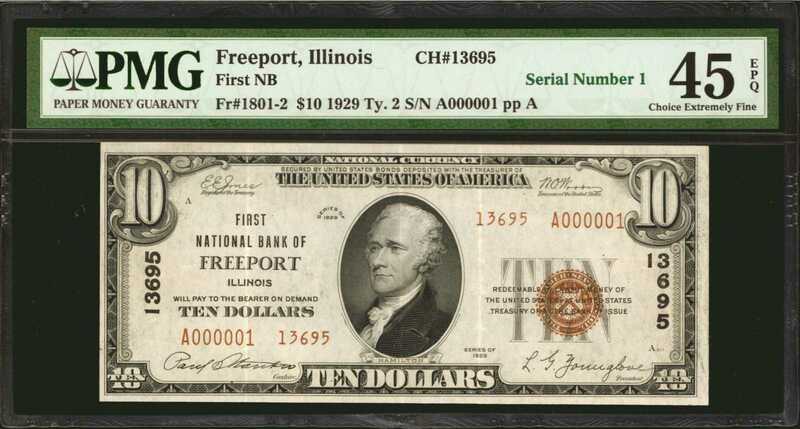 While 34 small size are reported, this is the only serial number 1 note known.